Vaseline Petroleum Jelly is a gentle jelly that has countless soothing uses, including nappy rash, chaffing, sore lips, minor burns and rough hands. I have been using this for over 40 years. When my children were babies I used it to stop nappy rash and it was excellent. Lip balm, face cream, hand cream, foot cream, dry skin, a little bit as a hair de frizz rubbed in your hands and scrunch thru hair, rub around top of nail varnish bottles to stop lid sticking, smear around finger to get stuck rings off, anything that needs a lubricant. This list is endless. Always keep a small jar in your car, comes in handy for all sorts. Yep it does it all, and so affordable, small amount goes along way. I used the petroleum jelly on my foots and hands. To me, the consistency was too heavy to use it all over my body. I did miracles with my cracked heels and dry elbows. One small jar lasted a bit over 6 months, which makes it especially good value for money. The only downside about using the product for that long is that the jar will look horrible in the end. Would definitely recommend on the dry areas of your body. Added bonus is the fact that it is also fragrance free. A little goes a long way, so the container is great value for money. You've got cracked skin on your arms? This'll fix it! You ran out of primer? This'll substitute! You want some tinted lip balm? This'll do it! You want some lip scrub? Mix it in with sugar! When I was little my parents always used Vaseline on my dry lips but as I became a teen I tried out many other lip balms that only seemed to make my lips worse but recently I rediscovered this products and boy am I happy! It's such a simple product but so effective and amazing. It's also super affordable and can be found at literally any store. I know for a fact now that many lip balms that claim to give you beautiful luscious lips that are packed with great ingredients like Vitamin E or Shea Butter, are in fact useless and even bad for your lips! Companies need to somehow make a profit, so they do this by making you feel as if the only way your lips can feel soft is if you lather your lips with their product. Vaseline however does one simple thing, seal in the moisture that is already in your lips. Be sure to drink lots of water and apply a generous amount of Vaseline. I do not know anyone who has not heard of this product and for good reason. It has so many uses. My mum got me on to uses petroleum jelly. I still think to this day it is an underrated product as it has literally so many uses. The packaging is not anything fancy which leaves the product to shine for its multipurpose uses. I tend to use the product when I have chapped lips as it helps to provide moisturise and get rid of the problem. My mother says the product can be used for vaginal dryness, I have not personally tried it for this reason but it could work. It is quite a sticky product but not as bad as paw paw cream. It is easy to use and apply. I am constantly finding new ways to use the product such as dryness on elbows,and for chaffed skin. Overall a fabulous inexpensive product to add to your beauty cabinet. I remember using this since i'm young and everyone still using it after 20 years? This is a great budget moisturiser if i put that correctly. Teenagers like me then always keep a tub in my drawers and dap it everywhere if any part of the body is dry. I always have dry elbows and lips and vaseline is always there to fix my problem. I remembered my mom used it for my younger siblings when they had rash on their skins especially the nappy lines! Vaseline is such a life saver. so many hacks can be used with this product. this product does have a smell but its only minor and hardly noticable. When you are dieing your hair at home, put the vaseline over your ears and hairline so no hair die stains happen. if your finger nails and the skin around the nail is dry, rub some vaseline on them and then a few minutes later wipe it away. it will be so smooth. if anything is stuck, like rings on your fingers, put some Vaseline on it and it will slide right off. Dont get this on your clothes. some fabrics get oil stains and never come out. Vaseline is a life changer. Whenever I would shade in my eyebrows or put mascara I realised how patchy my eyebrows and eyelashes, so I would searched for tips and during my research I saw that heaps of people used Vaseline so I started using Vaseline before I went to sleep. I would put some on my eyelashes and brows and lips. It has been around two months of me doing that and I feel that there is a massive difference. My brows aren't patchy anymore and my eyelashes feel longer. So when I initially tried this out on my face, my face turned red and started swelling up, and it made my face very hot and uncomfortable so I took it off immediately. this was strange as I've barely seen any bad experiences with vaseline. So I gave it a few days and tried it again, and had no problems. Used it as a sleeping mask and I woke up with soft and moisturised skin and it worked great. There are basic products in the world that everyone uses and is familar with - and one of these is Vaseline. From babies bottoms, to lip balm, and making lip gloss, it is just the right amount of moisture for lips and skin and can be used as a barrier cream. I have the standard package and it can be used with dry knees, heels and elbows and can also be mixed in with lippie or eyeshadow to make a colour paste...essentially this is the mixer product safe to use with any make-up! Keep on hand for daily use. This is a good lip balm or eye lid product but too thick for moisturising skin and feels very thick on oily skin. Recently I've had some contact dermatitis on my eyelids. It looks and feels awful. I've tried so many things to sooth my eyelids, rosehip oil, various eye creams and face moisturisers. Really heavy creams that I usually wouldn't even consider putting near my eyes! All they did was sting my eyelids and did nothing for the dryness. I came across a recommendation for Vaseline and from the moment I applied it my eyelids felt soothed and looked like normal again. There was no puffiness either, which I experienced with some of the heavier creams (obviously as they are not intended to be used on the eyelids). I only use the tiniest amount. I'm so happy I've found some relief in such an affordable product. 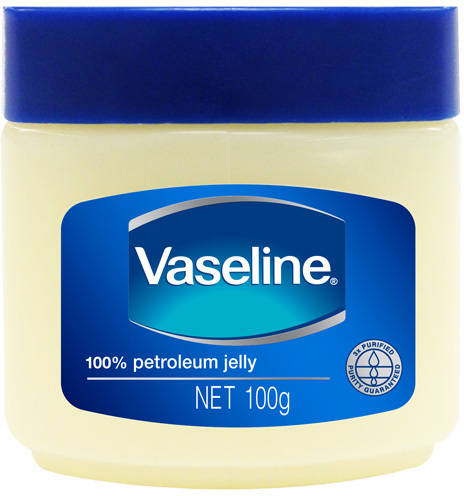 I have been using vaseline petroleum jelly since my teen years. Its almost 6-7 years now and i still love it. No other lip care product comes anywhere near to this for me. This is not just lip care product but also foot care for me. I have heard all sorts of stuff about it, like once i was told that using vaseline makes your lips pigmented etc etc. So i used to try different lip care but always came back to this. I have nothing bad to say about this product. I find this Vaseline product is really effective & wonderfully soothing for dry lips and on skin.  We always have some on hand, it's reliable and budget friendly plus it goes a surprisingly long way; have been using for many years now and it is a product our family would happily recommend and re-purchase. It is gentle, doesn't cause any irritation or have a scent like a lot of other products may. Vaseline is a great product. I use it on my dry skin and it works wonders. I mainly use it to rub on my feet after I have used my scholl diamond pedi on them. I usually do this treatment at night. After I have rubbed the vaseline on my feet I put socks on and sleep in them. I let the vaseline soak into my feet overnight and they feel super soft in the morning. Great for chapped lips, dry skin and body too. I like to use these at night before I sleep and when I wake ups my skin feels baby smooth. If I have a cold, I like to put some under my nose where its gotten red and dry from wiping with a tissue. It's an ESSENTIAL for dry, chapped lips and I Love the small tub which is perfect for on the go. Highly recommend! Good old Vaseline petroleum jelly. We always keep a tub or two of this around the house, one in each bathroom cupboard. What we use it for primarily is for chapped lips. We have a household of six people, two adults and four kids, and there is usually at least one person with dry lips at any one time. Lip balm tubes are always going missing so these are very handy to have around. I apply this before bed and occasionally even pop a tub of it into their school bag so they can apply it at school if they need it. I'll always keep it around. I know Vaseline has been around for years & there's a reason for this, because it is a product that can be used for several parts of the body & works well. Dry lips, dry hands, dry elbows, feet, knees, heels, this product can be used on many parts of the body to help with dry or cracked skin. I actually started using it as a night serum on the days of very dry skin and I wake up with soft skin that glows. I have mature skin & I find that this help hydrate my skin so the wrinkles don't show as much. I would highly recommend this product as it is cheap and work very well with lots of different areas on your body. Bonus!! And how to avoid the mistakes you definitely don’t want to make. Low on time? Look and feel good with our easy-peasy beauty routine. Are you really a 90s kid? Justin Timberlake, stick-on earrings, butterfly clips and all. Priceline, Chemist Warehouse, Woolworths, Coles and pharmacies nationally.